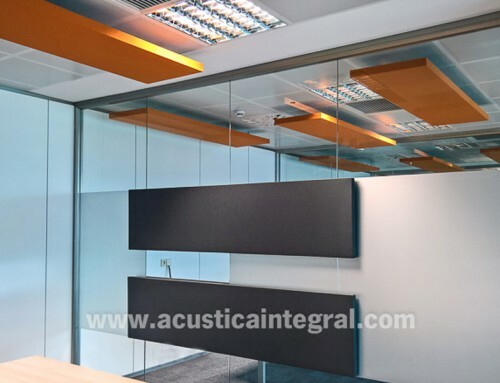 Absorbent acoustic treatment for a Telepresence Room which has the aim is of achieving for the interlocutors to hear properly and without interferences. 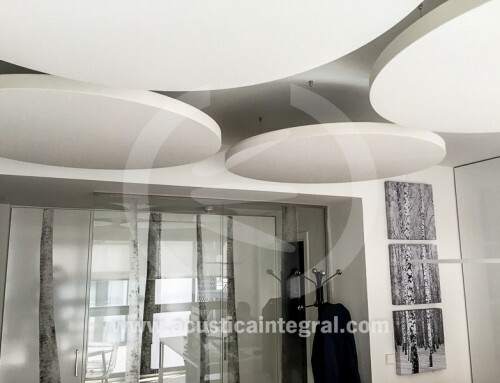 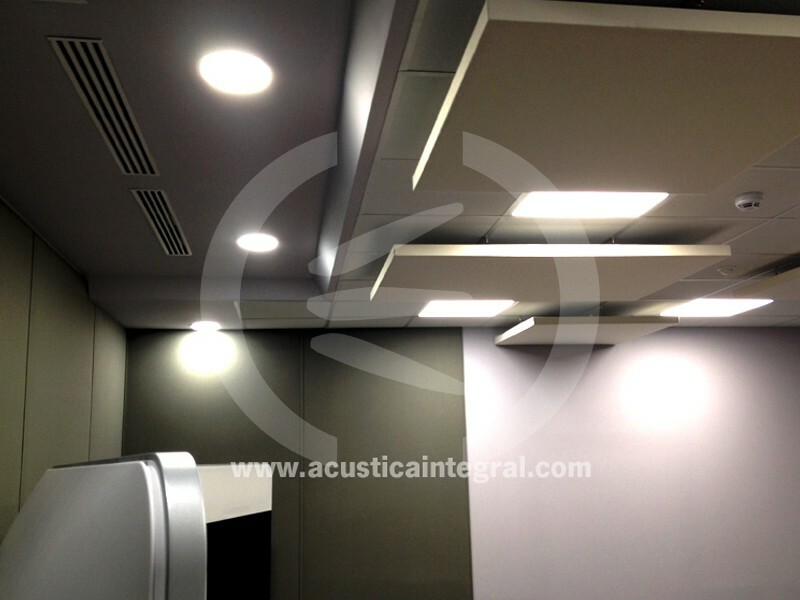 The acoustic treatment applied on this occasion is based on Acustiart type absorbent objects installed on the ceiling and acoustic cladding applied on walls and with Acustideco type absorbent acoustic panels. 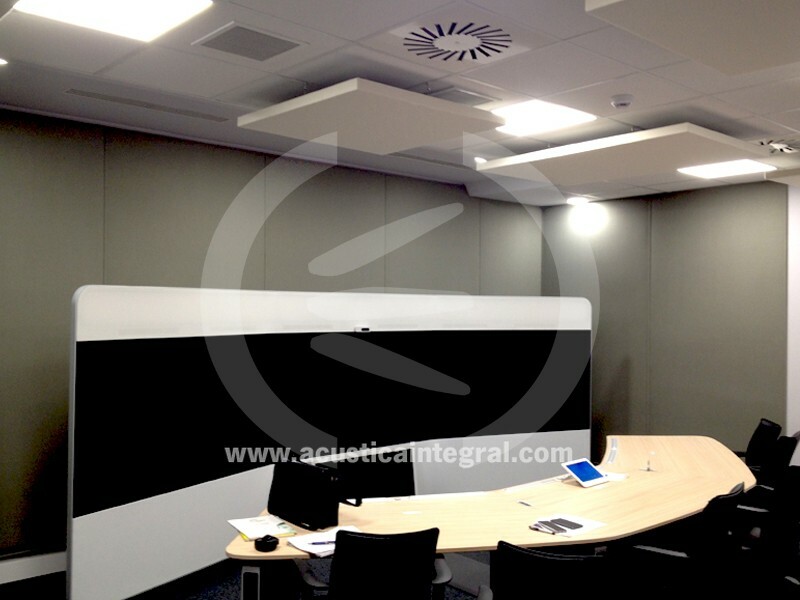 Telepresence and Videoconference rooms are on the rise thanks to the costs that they save as they allow holding long-distance meetings as if the interlocutors were there in person. 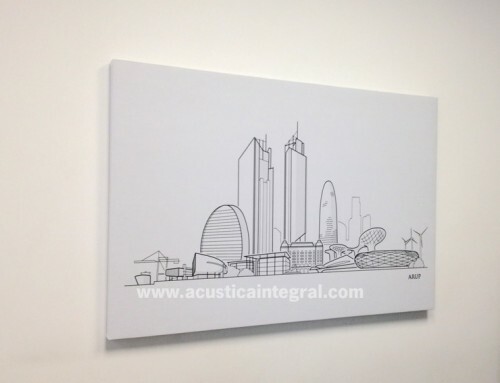 We must consider that the communication is carried out with Conference Call systems, obtaining a high-quality bidirectional communication. 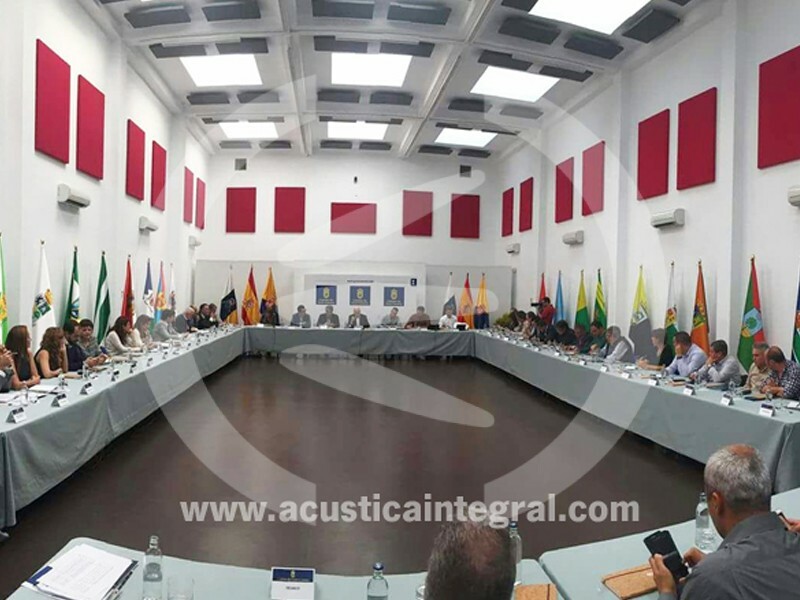 To achieve this, it is essential for the sound generated inside the room not to be altered by undesired acoustic reflections, so the treatment of the environment where the sound capture and emission systems between the different participants of the meeting are located is required. 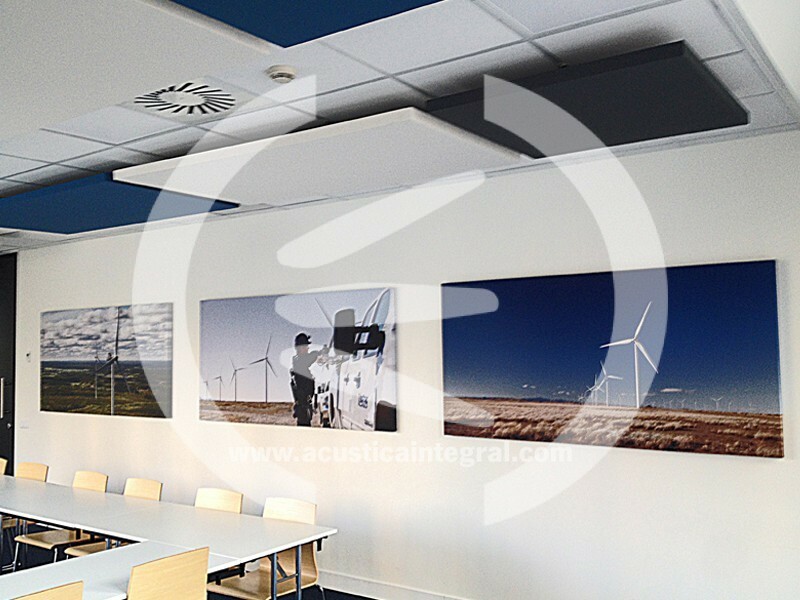 The Acustiart type modular acoustic materials enable integrating the absorbent elements in finished installations, without having to alter their aesthetics and having to undergo disturbing works. 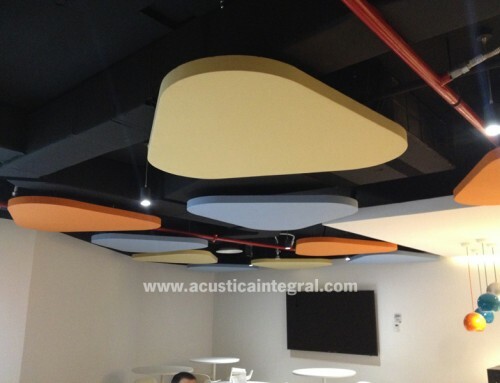 Moreover, the Acustideco type acoustic panels, allow the treatment of the existing walls with the minimum disturbance. 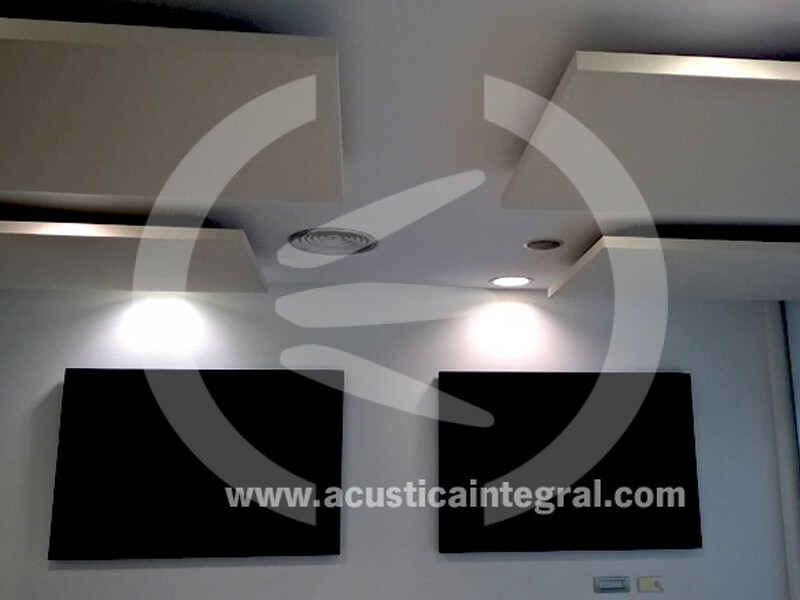 The array of finishes of the fabrics available enable an optimum aesthetic integration for this type of situations, where both the acoustic and visual results are very important. 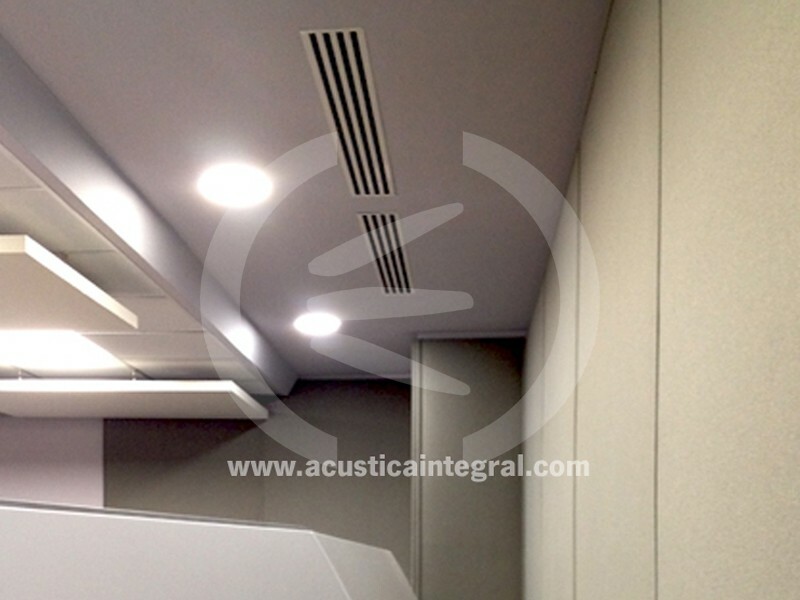 Project: acoustic refurbishment of telepresence, videoconference or video call room.